Fjalimi i Albin Kurtit në Samitin për Paqe, Siguri dhe Zhvillim Njerëzor në Seul – Lëvizja VETËVENDOSJE! Në vijim është teksti i fjalimit Kryetarit Albin Kurti në anglisht në një samit ndërkombëtar kushtuar paqes, sigurisë dhe zhvillimit njerëzor e cila u mbajt në Seul të Koresë Jugore. 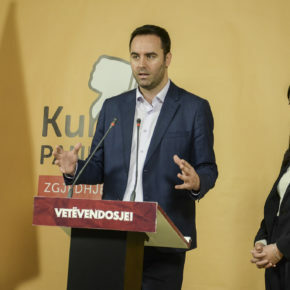 Këtu merrnin pjesë krerë dhe ish krerë shtetesh e qeverish nga mbarë bota, si dhe deputetë, akademikë e liderë fetarë. 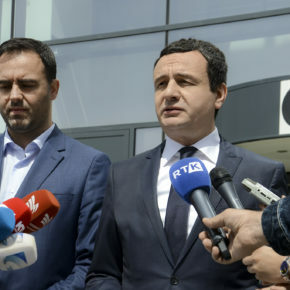 Nga Kosova e Shqipëria edhe ish presidentët tanë Fatmir Sejdiu e Alfred Moisiu si dhe ish kryeministri Bajram Kosumi. 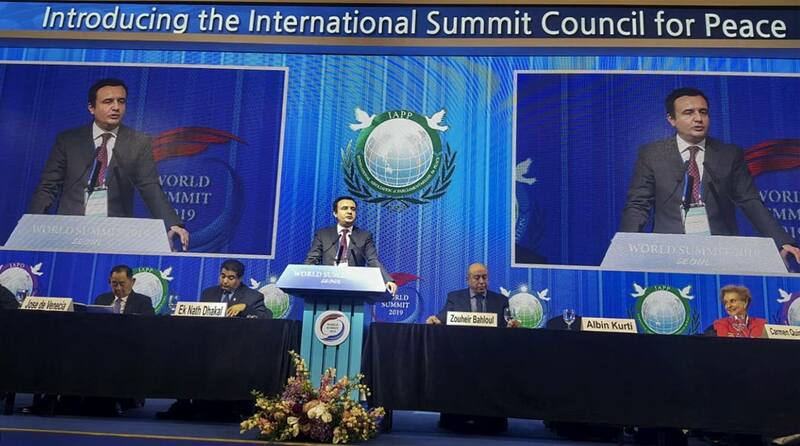 I am honored and excited to participate in the International Summit of the Universal Peace Federation. This is my first time at a UPF event and my first time in Seoul and Korea. But, I feel as if I have been here before, and I have seen all of you somewhere else. Perhaps I feel this way because we have come together as people who are together even when we are not, as we share a joint battle – one for peace and unity, equality and security, prosperity and justice. Thank you for the invitation and the opportunity to join you here today. “The most beautiful dreams about freedom are dreamed in prison” said Friedrich Schiller back in his time. Similarly, one could hold that the best dreams about peace are dreamed at a time of war. Likewise, the best aspirations for unification and integration are dreamed by people who are divided, by members of families who are separated, by citizens who are kept apart forcefully. I have personally known and experienced oppression and prison, war and separation; however, I have only found them blended into one, as never before, in the forerunner of our liberation movement, the ambassador for peace, and laureate of the Saharov peace prize, Mr. Adem Demaçi, whose biography and life experience so closely resemble the martyrized and triumphant experience of the freedom and peace-loving spirit of the founder of the Universal Peace Federation, Reverend Sun Myang Moon. I was lucky to have had the extraordinary opportunity to be an activist and work with Mr. Demaçi when he was the political representative of the Kosova Liberation Army in the late 1990s. As a writer, a dissident intellectual, a liberator and a progressive politician, he was unjustly convicted to 28 years in prison. However, this long suffering in prison, Demaçi would compare to a candle that burns and fades in the dark to make light for those around it – his friends, his people. He passed away last summer but will keep lighting us forever and ever. 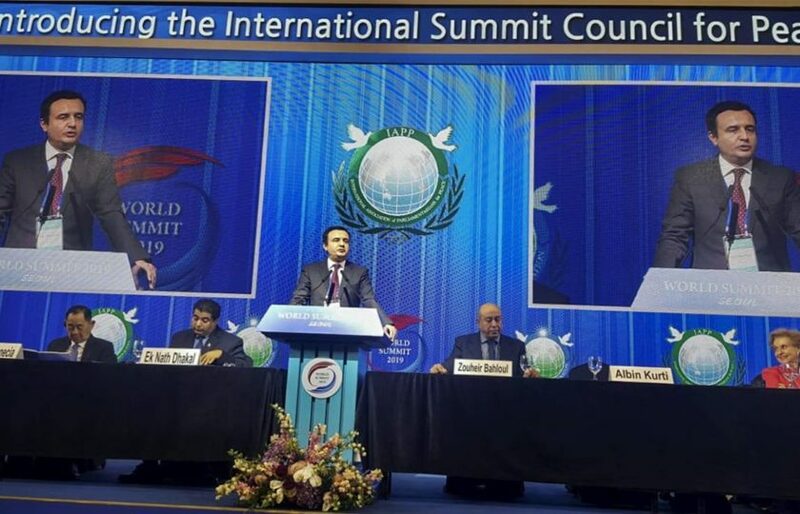 For Demaçi, his release from prison, at a time when Kosova and other Albanian lands were still under occupation, was, in his words, like walking out of one smaller prison and back into a larger prison that had locked an entire nation inside its walls. 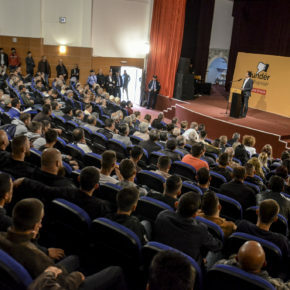 Upon the successful conclusion of the joint international campaign to liberate Kosova, Adem Demaçi advised his Albanian compatriots to restrain from identifying innocent Serb citizens with proponents of the invasive Serbian regime. 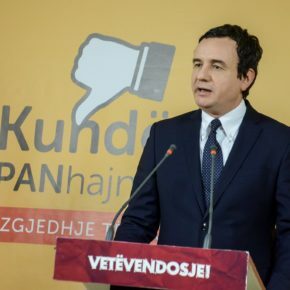 “Yesterday, we fought against Serbian chauvinists,” – he would say, – “Now, it is our responsibility to protect our Serbian neighbors, who should be treated as equal citizens in the Republic of Kosova.” He would then conclude in his style: “If any Albanian thinks of attacking an innocent Serb, let them come and attack my son, Shqiptar (trnl. Albanian)”. Now, I am a Member of Parliament and I represent and lead the new opposition in Kosova, which has at its core the goal of genuine peace. Experience has proven to us that false peace, as the philosopher Lu Xun says, is just a temporary truce and is conceived with new war. Bad peace agreements can become worse than their absence altogether. True and lasting peace is only righteous peace. There is peace in prison, there is also peace in the cemetery. Unfair peace is a frozen conflict, an imminent conflict, and a potential outbreak. Without true freedom, we rather get the people’s suppression and social closure, similar to dynamite, the more suppressed it is, the stronger its later explosion. The place where I come from, Kosova, and the Albanian lands, are a fertile ground for the healthy seed of peace. The universal values and principles for global peace and harmony are embodied in the code of life of the people of Scanderbeg and Mother Teresa. But, the Albanian people continue to be divided, fragmented and threatened by further division and fragmentation and a frozen and always threatening conflict. “Territory can be divided, but the people cannot”, emphasized Reverend Moon. Such dangers and threats are becoming more and more common in our time. That’s why hard work is needed for peace, and, maintenance of peace demands much labour, too. Peace without security is a temporary peace. Security without peace is a security for the few. We need both, peace and security, hand in hand, together, jointly. Yet, this remains a rather static vision, if there is no development. Whereas peace and security remind us of space, it is development which brings in time. Space-wise we should have peace and feel safe. Time-wise we should develop, we shall make progress, as humans, as citizens, as societies, as people. In order to achieve this, we must win. And for the victory we are seeking, we must come together. What unites us as people is even more important than what leads us ahead. Struggle is togetherness. Interdependence and intersubjectivity comprise a plain of immanence as a platform where social engagement and political institutions emerge. We certainly have differences, but everywhere and all of the time, we have way more things in common. We shall always begin from what we have in common. And, that is another plain, the plain of universality. Therefore, to our insistence on universal values, I believe we could add universality as a value. What may seem not that probable, together we make it more than possible. Peace unites us, and, for peace we come together. Because we learn peace, through education and life, at schools and at homes. Just as Reverend Moon and Mother Teresa emphasized, peace begins at home, in the family, begins in the heart and soul of each.